Master King Lam has studied the martial arts for more than 40 years. He has studied the arts of Shotokan Karate, Chinese Kenpo Karate, Yang and Chen style Tai Chi Chuan, the Filipino art of Kali and Japanese Jujitsu. He has the rank of 8th degree Shotokan Karate black belt. His quest for knowledge has taken him to study in Tokyo, Japan, Beijing, China, Taipei, Taiwan, Hong Kong, and the Philippine Islands. He has studied with Masters Jou, Tsung Hwa, Jyh Jian Soong, Yang Yang, Cheng, Jin Cai, Chen Xiao Wang, Zhu Tian Cai, Dan Inosanto, Takayuki Mikami, Ed Parker, Richard“Huk”Planas, and Gene Roos. 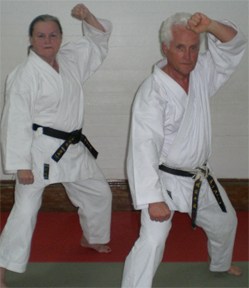 He is the founder of Tamashii Karate and Tai Chi Center. 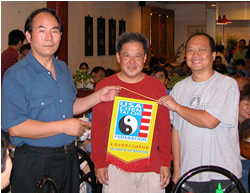 He is the director of the New Orleans Chapter of the U.S.A. Chen Tai Chi Federation. Member of the National Qi Gong Association. Master King Lam is a retired 30-year professional social studies teacher who taught at Mc Main High School in New Orleans and a member of Who’s Who Among America’s Teachers. He has conducted Martial Arts classes and seminars at the University of New Orleans, Tulane University, Loyola University, Food and Drug Administration, Shell Oil, Chevron, Freeport McMoran, Magnolia School, New Orleans Center of Creative Arts, Strike Force Security Systems and throughout the United States. Master King Lam is a national and international judge & competitor in Tai Chi and Karate competition. In July 2006, he won 5 gold medals in the Chin Woo Taiji Legacy tournament. In August, 2007 he won a Silver medal in Chen style forms and a Bronze medal in Chen style weapons at the 4th International Tai Chi Exchange in Jiaozuo, China. Master King Lam winner of 5 Gold Medals in Chen Style Tai Chi at the Taiji Legacy Tournament in Dallas, Texas July 22 - 23, 2006. Watch the video of a Tai Chi performance in Houston, TX on 9/23/06 with Grandmaster Jin Cai Cheng's group.